Make me a painting : art process for a private commission "Lily"
Below are photos of the process of completion for a commission I had this holiday season. 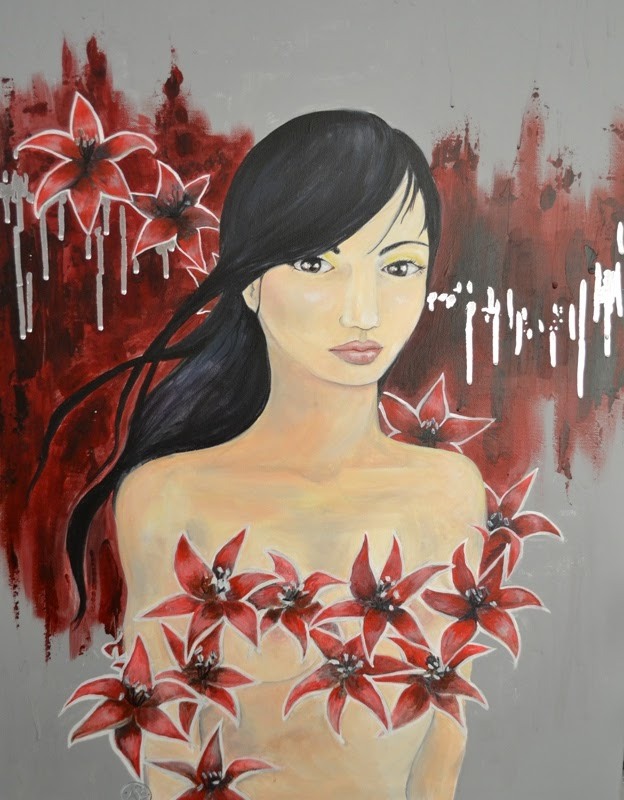 The piece is 24x30" on canvas, titled "Lily". 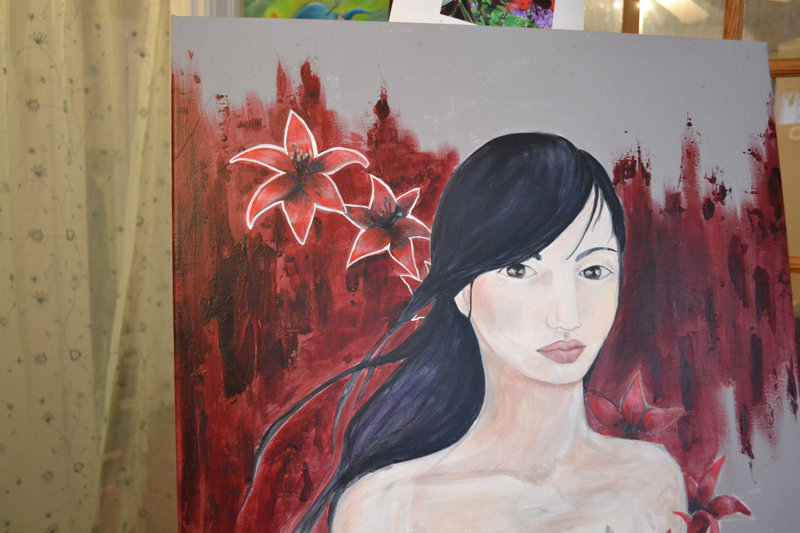 I had been asked to create the work featuring a girl, lilies, and a color palette of reds/black/white. This was an enjoyable piece to create as I took inspiration from many sources, including the client. I hope you enjoy this sneak peek of my process, too! The first layer of skin tones are down, the lilies I have started outlining around her are an Asiatic variety I stumbled upon called "blackout lilies" (for their dark centers). The red of the textured background is applied with palette knife. *I made part of this my phone background- I liked the flowy hair! The finished piece- with pretty little silver leaf drips and finished lilies! "Lily" - 24x30" acrylic/liquid silver leaf on canvas, private commission. 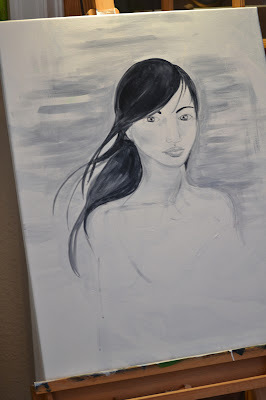 I can create custom artwork for you, too. Email me and let's talk about your idea!